Yet wherever you go, there’s history, smacking you on the back of the head like that last ill-advised shot of Jagermeister at one of the city’s late-night dance halls, all juxtaposed against a kind of frenetic, youthful joy and capitalist ambition. If you want to experience a society teetering at a cultural and temporal crossroads, this is the time to visit Tallinn. For most visitors, the main year-round attraction is the medieval Old Town—touristy and family orientated by day, but throbbing with club-goers into the wee hours of the morning. 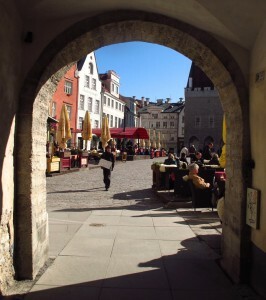 Tallinn’s pedestrian-friendly core is partially framed by turreted city walls, which embrace a maze of cobblestone streets and a Town Hall square flanked by cafes and handicraft shops. For the best views, huff and puff your way up the steep slopes of Toompea (Castle Hill), just a ten minute walk southwest of the main square. 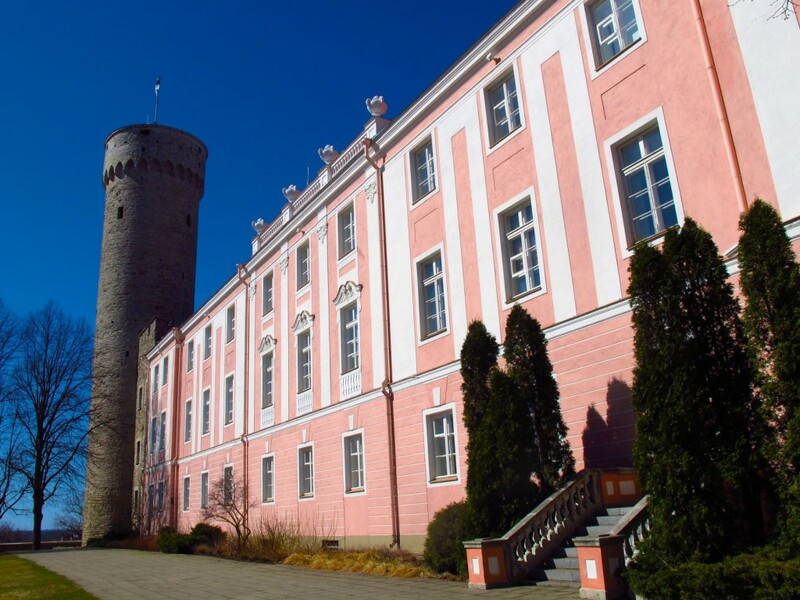 Pikk Hermann tower, a medieval relic from the original castle, still stands sentry over Toompea’s scenic summit, looming beside an 18th century Pepto-pink Baroque addition. Just a stone’s throw from hunkering Hermann, another showstopper competes for tourists’ attention. 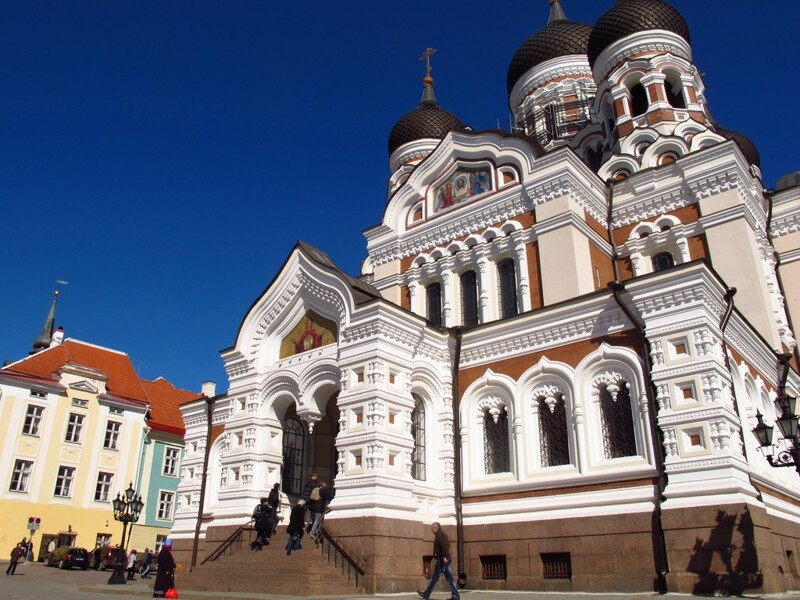 Subscribing to the “more is more” school of religious architecture, the heavily-ornamented, onion-domed Alexander Nevsky Orthodox Cathedral perches like a Faberge jewel box atop Tallinn’s picturesque pinnacle. After your thigh-burning exertions, you’ll have earned a proper old-fashioned feast. Sit down for a meal of bear, wild boar and elk at Olde Hansa, which is kitted out with iron candelabras, tapestries, and minstrels playing in a gallery. 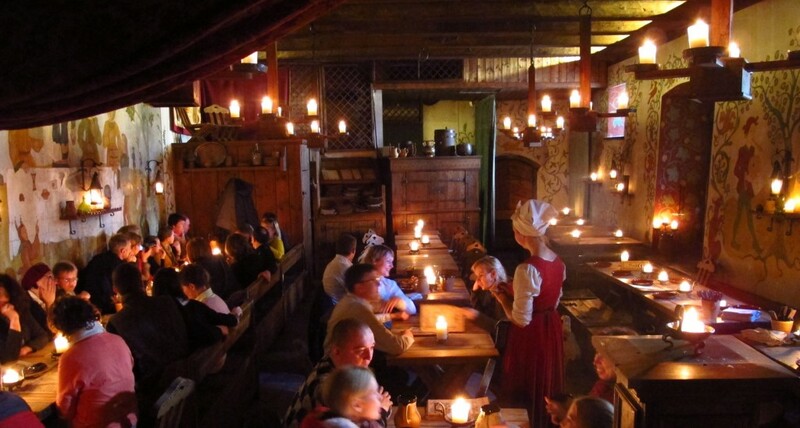 Waiters and waitresses in medieval attire serve hearty meals and ceramic mugs of honey beer at Olde Hansa restaurant in Tallinn’s Old Town. Should indigestion ensue, head over to the Raeapteek Apothecary Museum on the Town Hall square. As one of the oldest continuously functioning pharmacies in Europe, it ought to stock something to sooth your aching stomach. You’ll certainly find plenty to churn it. 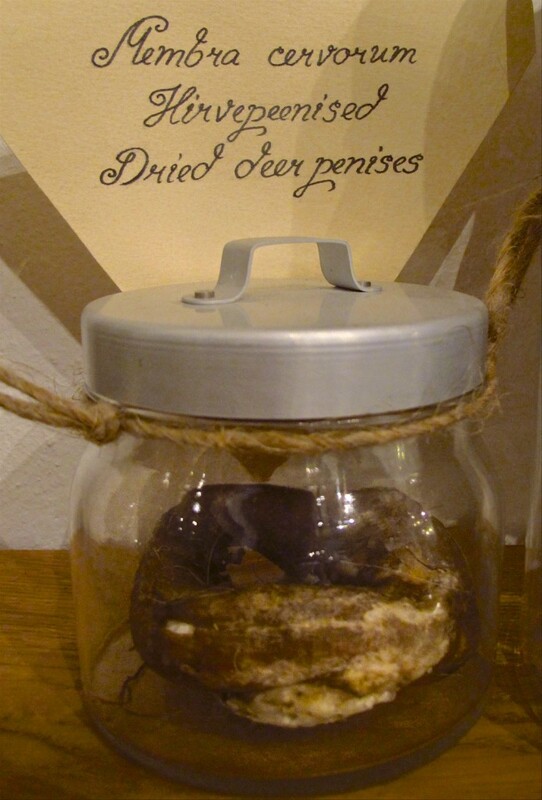 I seriously dare you to ask your doctor for a prescription for dried deer penises. With its jars of toads, wood lice infusion, burnt hedgehog and dried deer penises (yep, you read that right), the Raeapteek reads like Harry Potter’s potions classroom. But among these disturbing displays, all of which have far surpassed their “use-by” date, you’ll also find the latest medicines and wrinkle-reducing creams for sale. 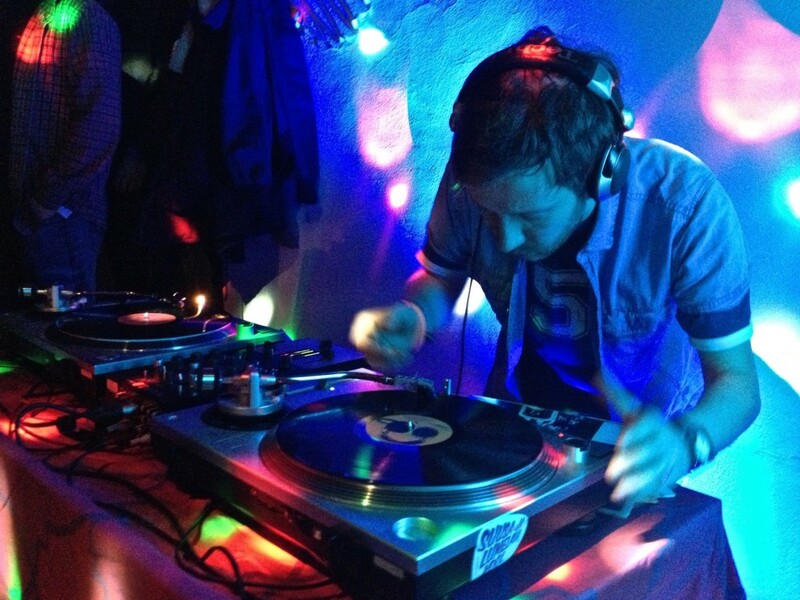 After dark, Tallinn’s Old Town pulsates with an active, eclectic nightlife. Hipsters groove to wax-spun tunes from the 50s, 60s and 70s at Kohvik Must Puudel (Black Poodle Café) in a basement dive outfitted with retro furnishings, while a few blocks away at Club Prive, men in black leather and chains dance atop glass platforms as girls in skimpy “police” uniforms distribute shots. Club Prive. I hope he plans to buy that pole dinner, at least. With dozens of bars of every description, it’s little wonder Tallinn is a popular destination for European stag and hen nights. Even in the midst of 21st century excess, reminders of Tallinn’s oppressive past remain. The Museum of Occupations at the bottom of Toompea is filled with relics from the Nazi and Soviet regimes, including larger-than-life statues of former leaders, bullet-riddled relics from slain resistance forces, and a tiny, coffin-sized closet where suspects were sometimes holed up for hours prior to interrogation. 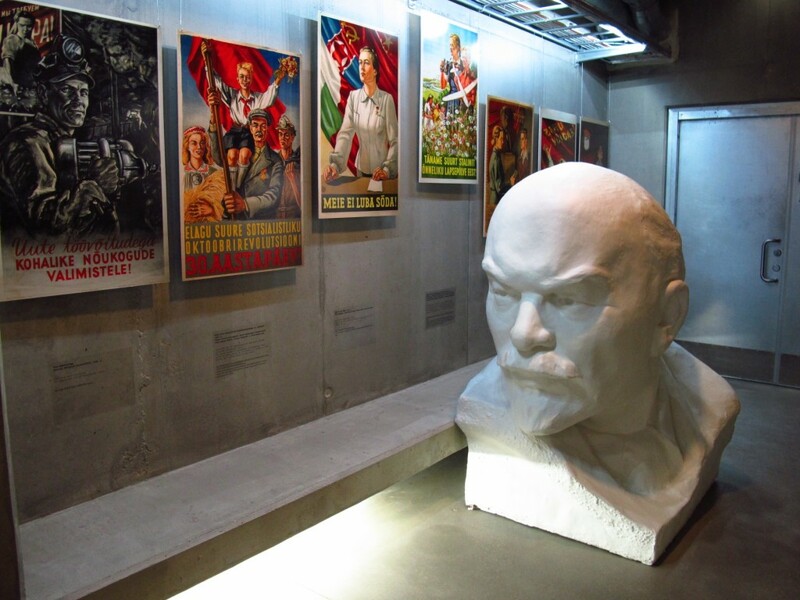 A bust of Vladimir Lenin, looking a bit like Spock with a goatee, resides in the basement of The Museum of Occupations. A more visible symbol of Estonia’s all-too-recent turmoil rises high above the outskirts of the city. 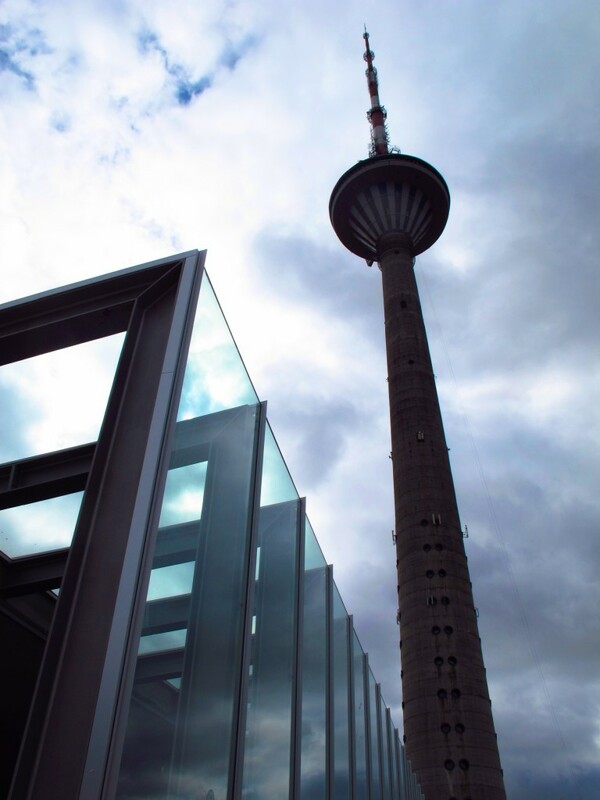 Today, the Tallinn TV tower is a tourist attraction, with a restaurant, observation platform, and an edgy tethered walk on the ledge (gulp) providing 360-degree views over the city from more than 170 metres up. In 1991, Tallinn’s TV tower was the site of a dramatic protest against Soviet forces. But guide Mati Rumessen, who offers tours of the city, remembers a time when this iconic landmark wasn’t so welcoming. He was one of the protesters at its base who prevented armed Soviet troops from shutting down this vital means of information distribution on August 19, 1991. “I could have been shot,” Rumessan recalls. Fortunately, the soldiers were ordered to stand down, and the Soviet Union fell later that year. 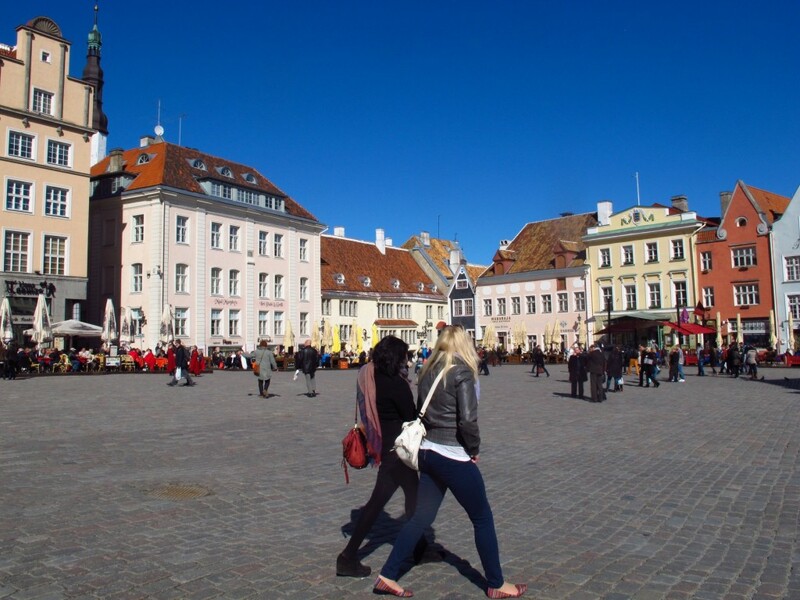 Today, Tallinn’s economy is based mostly on finance and internet technology. 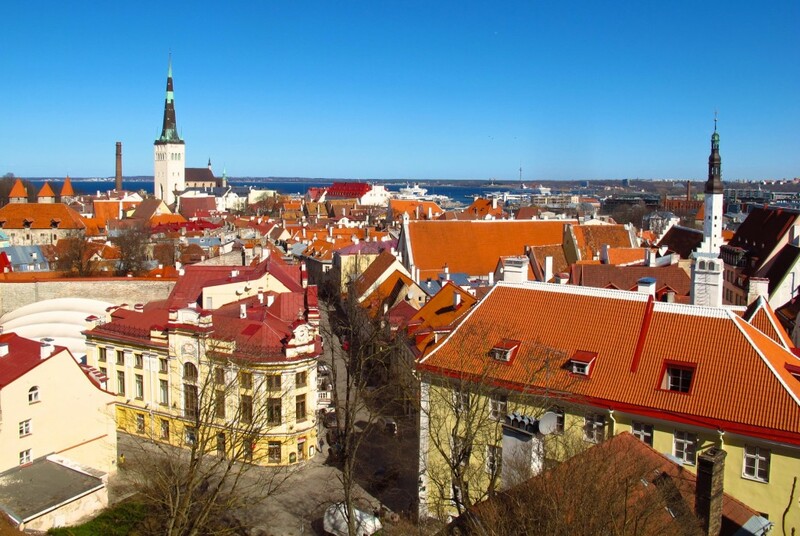 In fact, while the name “Estonia” might conjure images of Stone Age Bedrock, it was the birthplace of Skype, and it is recognised as having among the most widely connected internet access of any country in the world. Still, the average monthly income falls far below that of nearby Finland, where many Estonians are forced to seek work to make ends meet. “We call the ferries to Finland ‘slave ships,’” Rumessen notes wryly. There are signs, however, that things are improving. 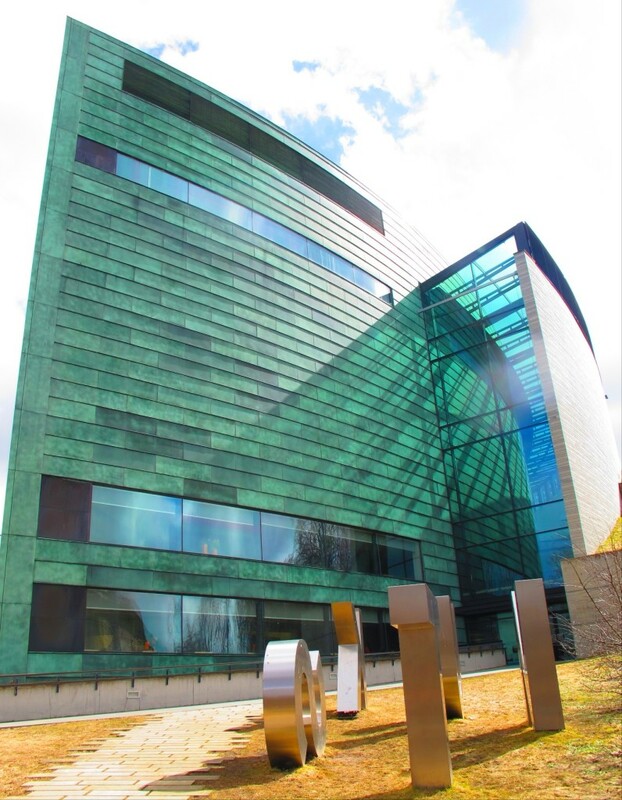 The sleek glass wedge known as the KUMU Estonian art museum opened in Kadriorg Park in 2006, and many of the 19th century clapboard homes in the neighbourhood have been restored. 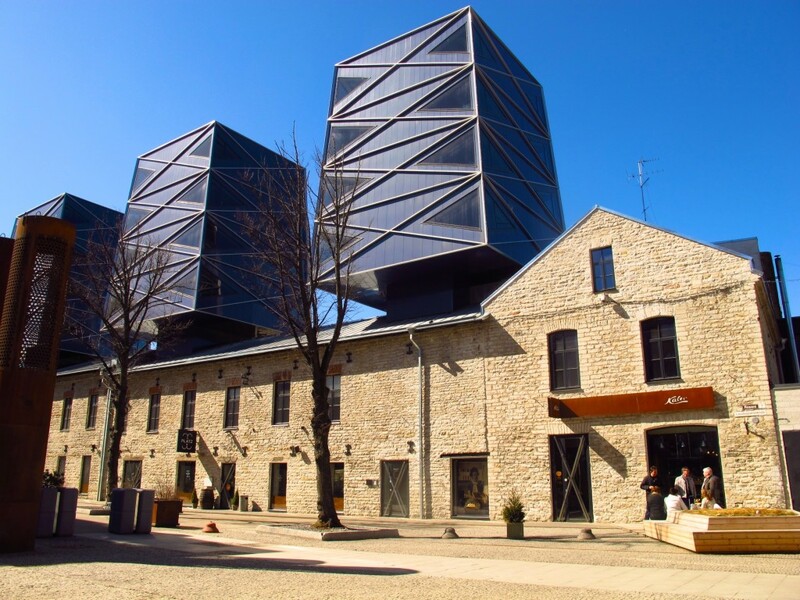 In the Rotermann Quarter, cafes, restaurants, and fashionable clothing shops are springing up around 19th century warehouses, a physical manifestation of Tallinn’s efforts to assume its place in the modern era without obliterating its past. The most obvious display of this city’s entrée into capitalist society is an assortment of gleaming banks, offices and hotels that pierce the sky above the Maakri District. 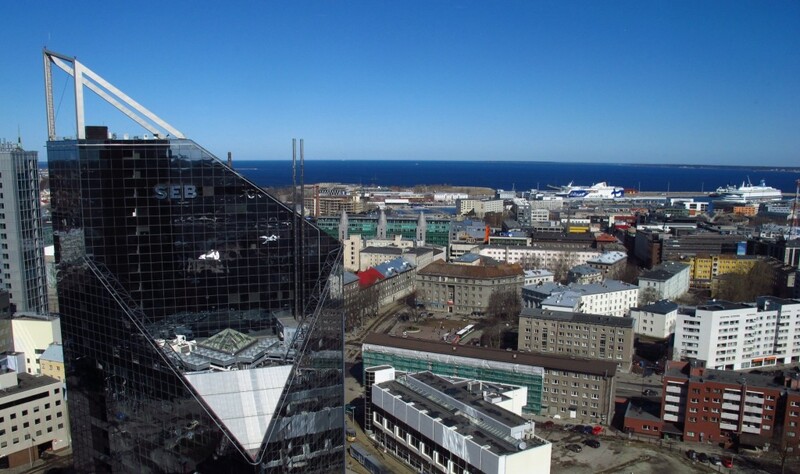 Swissotel Tallinn is the tallest of them all, a smoked glass monolith that dwarfs its neighbors. 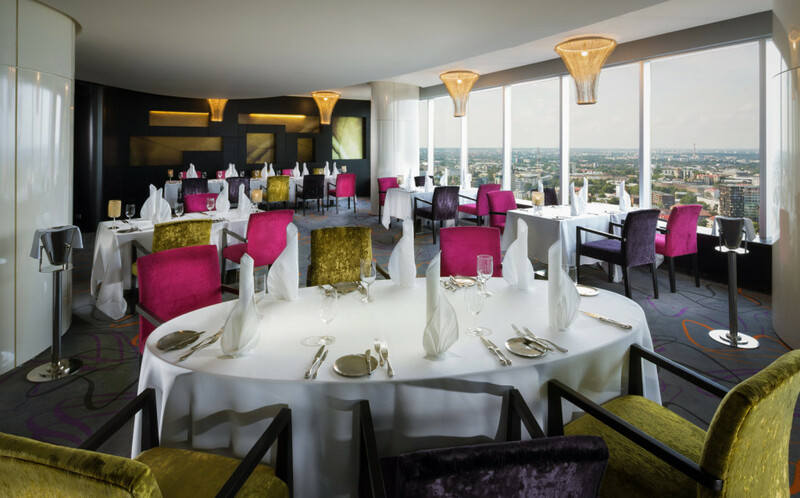 Swissotel Tallinn offers birds’ eye views across the city. The hotel’s technology is up-to-the-minute, with free WiFi throughout and iPod docks in the executive rooms. The tailored interior—the vision of an Estonian designer–features dark wood and copper-coloured glass tile accents, and a 30th-floor restaurant bedecked with crystal-chandeliers and gossamer curtains. But the highlight of the restaurant and adjoining bar is the view. Jagged modern high-rises, which have sprung up like a manmade mountain range bisecting the city, frame scenes of Old Town and the port, where cruise ships ply the sapphire waters just offshore. It’s a fitting postcard panorama, perfectly capturing Tallinn’s quirky mix of crumbling Communism and fledgling capitalism, offering a rare glimpse of a newborn nation finding its footing in the brave new world. Will it succeed? Cross your fingers and hope for the best—but book your tickets now.